NOTE: I’m currently 7 months pregnant! I won’t be able to travel for any presentations/events for a while. Will update when things change! Want to spice up your event or classroom? 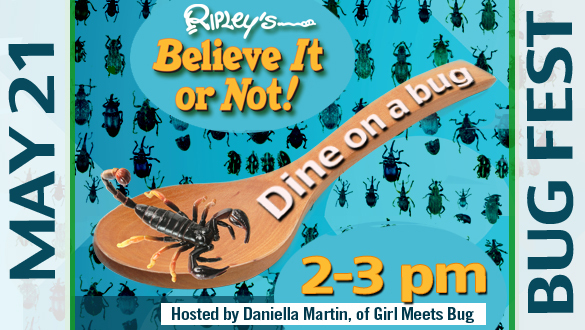 A Girl Meets Bug speaking engagement will guarantee the attention of every eyeball and tastebud in the room — as well as potential press for your organization. 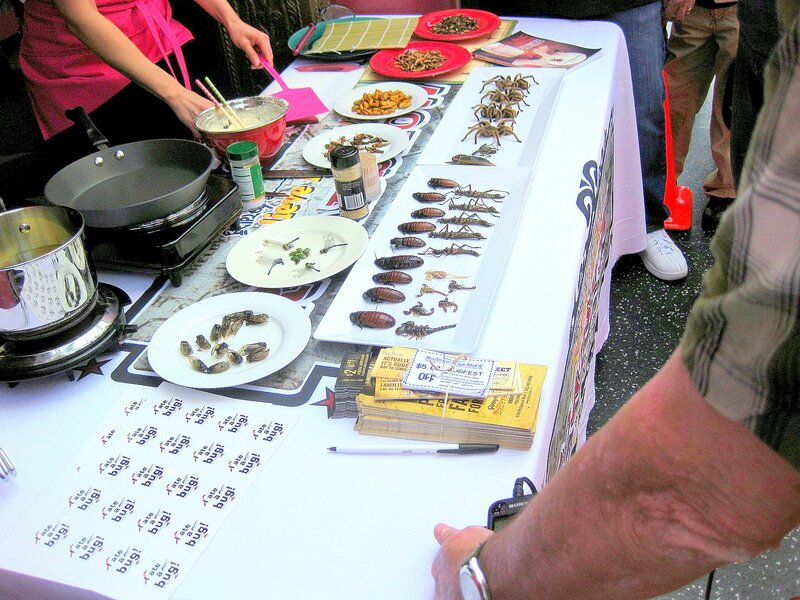 Kids, college students, party- and conference-goers alike are fascinated by the science and culture behind eating insects. Kids especially will love the hands-on activities (I am very big on audience participation), bug-singalong, and the chance to taste their creations. 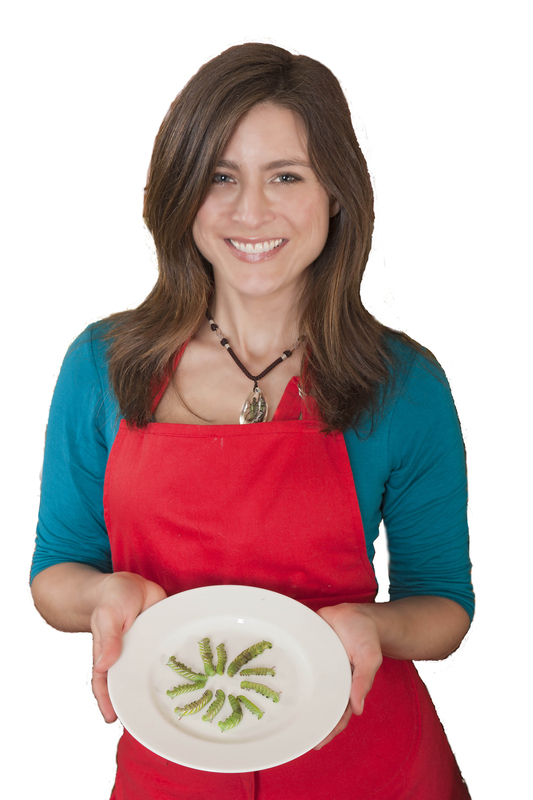 Adults will appreciate the eco-logic, nutritional value, and global significance of edible insects, illustrated with a captivating Powerpoint presentation. 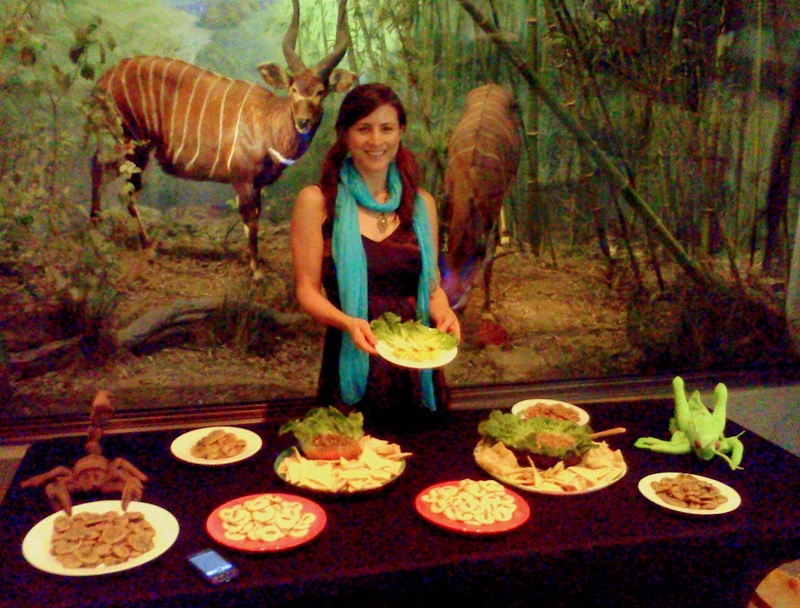 A Girl Meets Bug presentation can also be a unique and powerful inspirational speaking tool: eating insects is thinking way outside the box! Each presentation can come with goodies for everyone: Cricket and Larva cookies (a la the Bug Appetit Cafe), a batch of which has never made it through a party or conference unscarfed. If your facilities allow, a brief cooking demonstration is a tasty and exciting way to convey the information and engage audiences. People are always amazed to learn that bugs taste like, well, food — and good food at that! Girl Meets Bug has been seen at: the Los Angeles Museum of Natural History, the New York Central Park Zoo, the California Academy of Sciences, NASA, Ripley’s Believe It Or Not, VidCon, the International Society of Sports Nutrition, the California State Fair, various colleges, dinners and parties; and featured on The Doctors, NBC, The New Yorker, Good Day Sacramento, The Sacramento Bee, Treehugger, AOL News, the Wall Street Journal, the Huffington Post, countless blogs and websites, as well as radio shows all over the world. For dates and rates, please contact me at girlmeetsbug@gmail.com. Love your blog! I believe I spend as much time promoting yours as I do promoting my own web pages. You have such wonderful information!